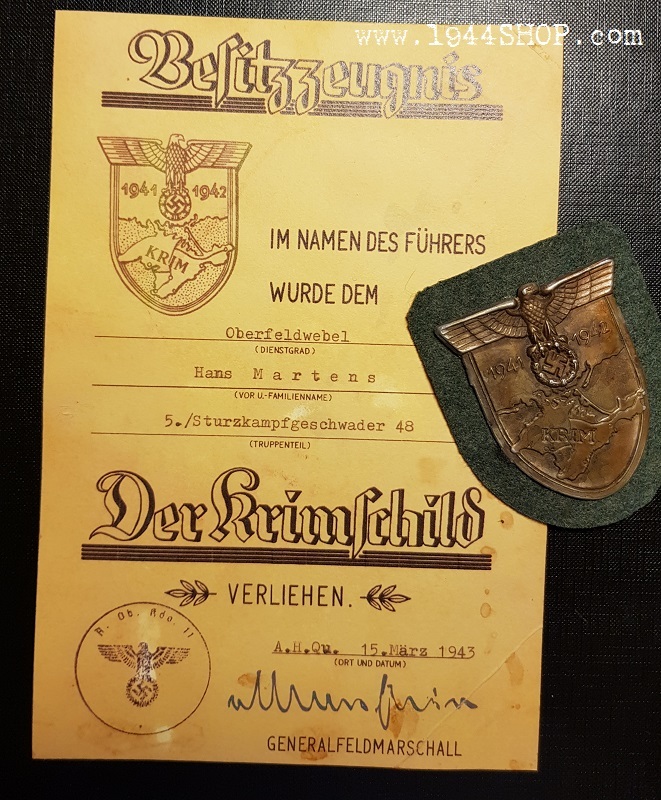 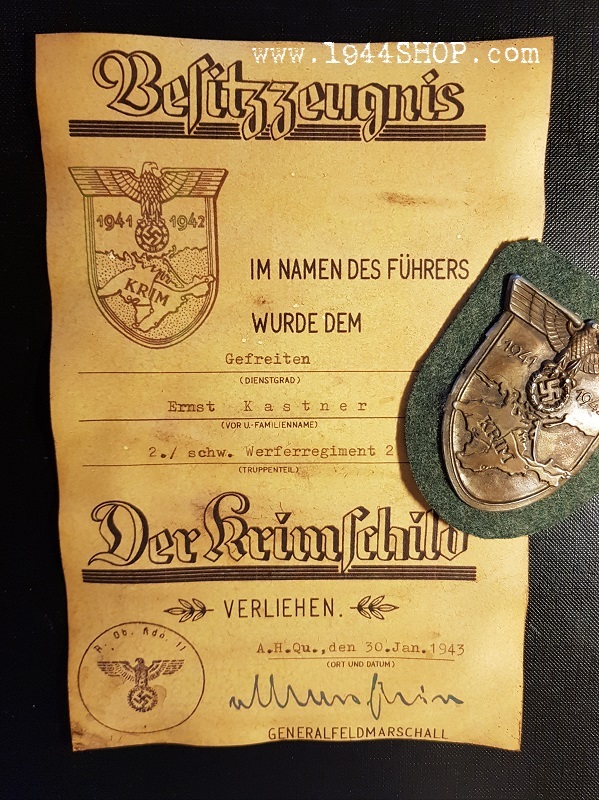 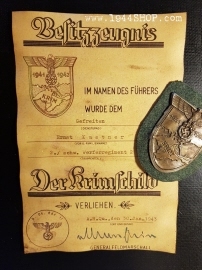 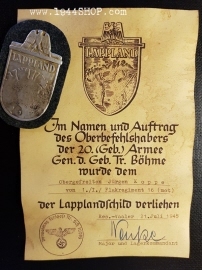 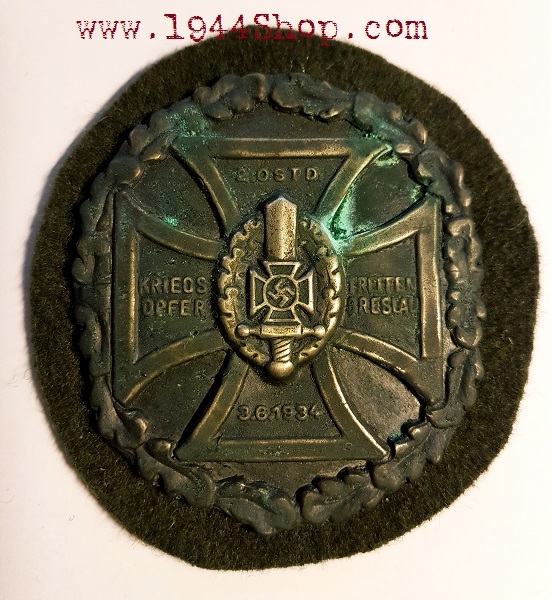 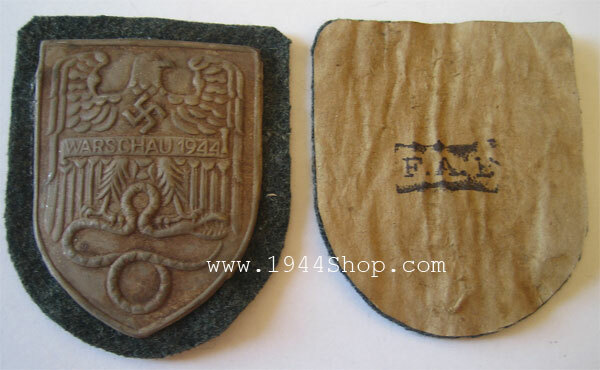 Kriegshild/Arm Shields, were awarded in various forms to personnel who took part in specific campaigns and battles which were either particularly successful or notably grueling. 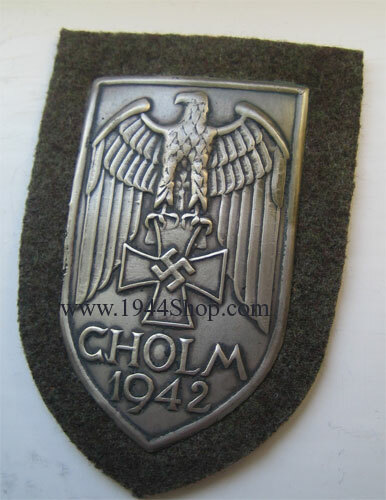 They were worn permanently on the upper left sleeve of the tunic and greatcoat, 7 cm below the shoulder seam and above other insignia present. 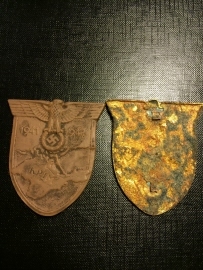 MADE AS FROM WORLD WAR II ITEMS / AGED. 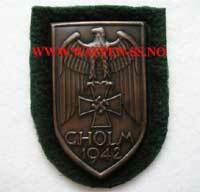 Field grey wool and paper back! 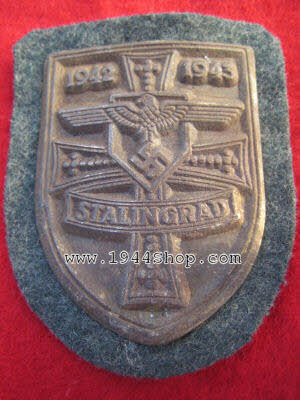 Field gray wool and paper back! 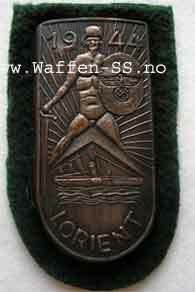 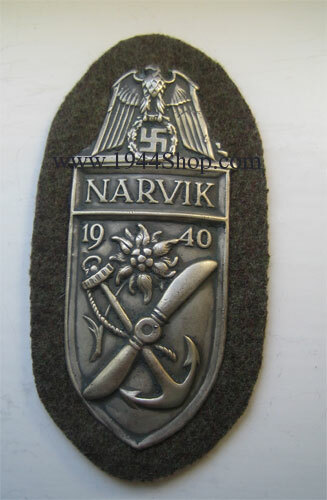 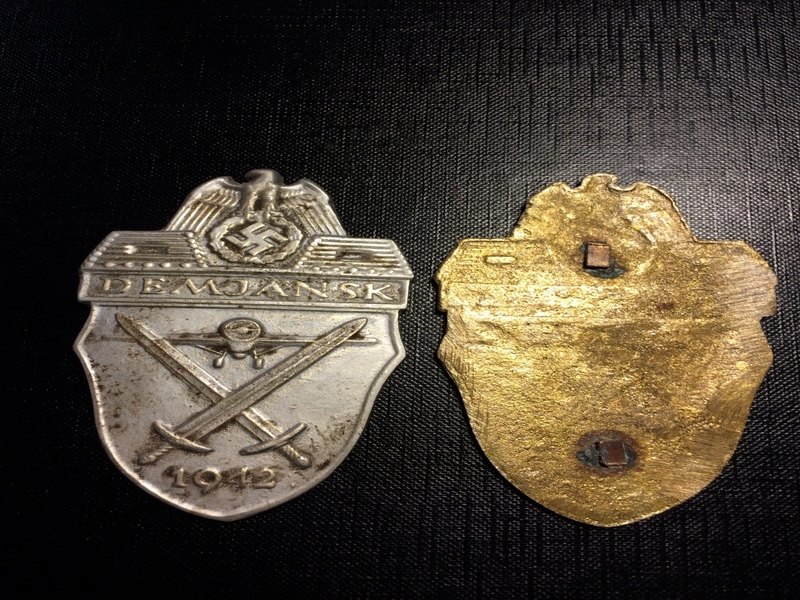 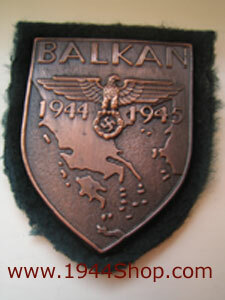 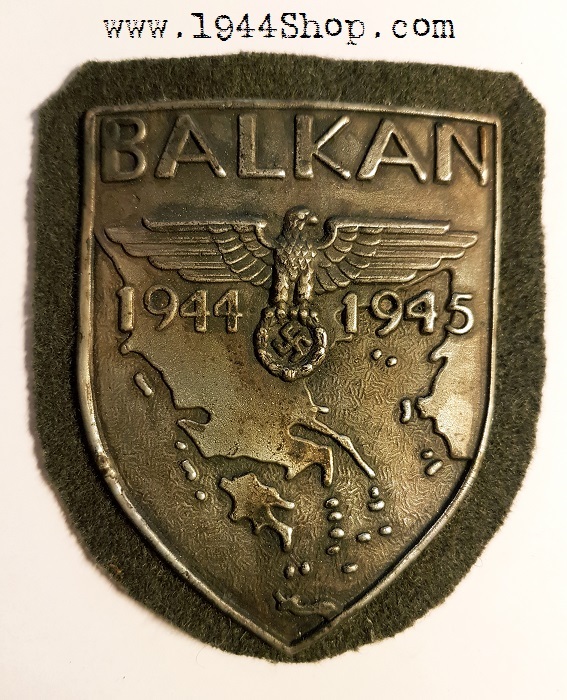 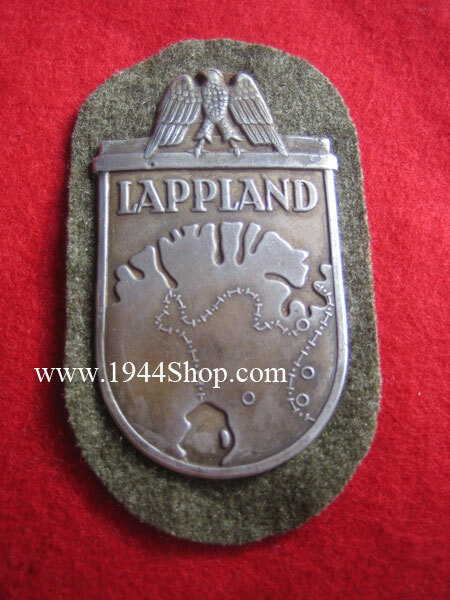 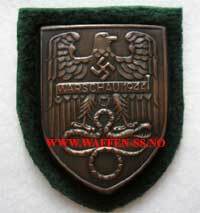 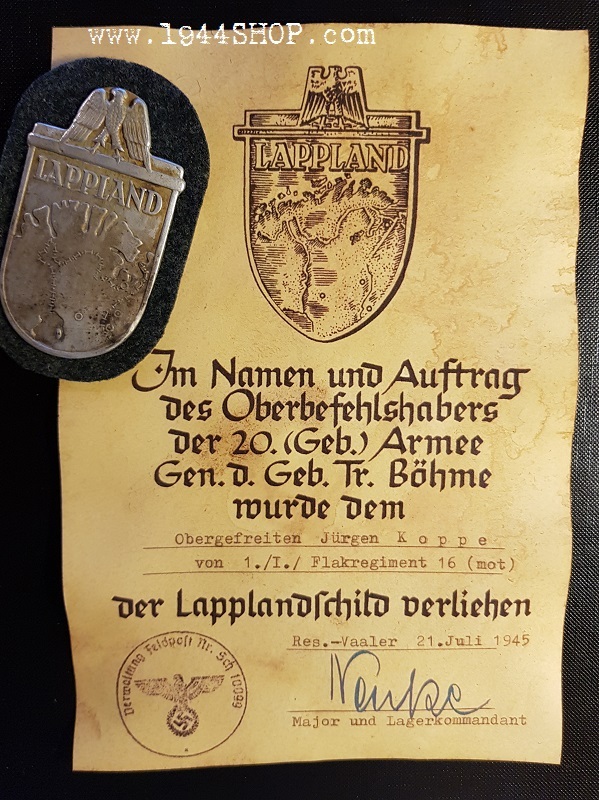 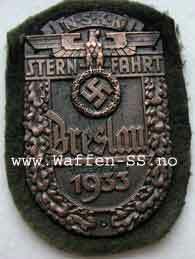 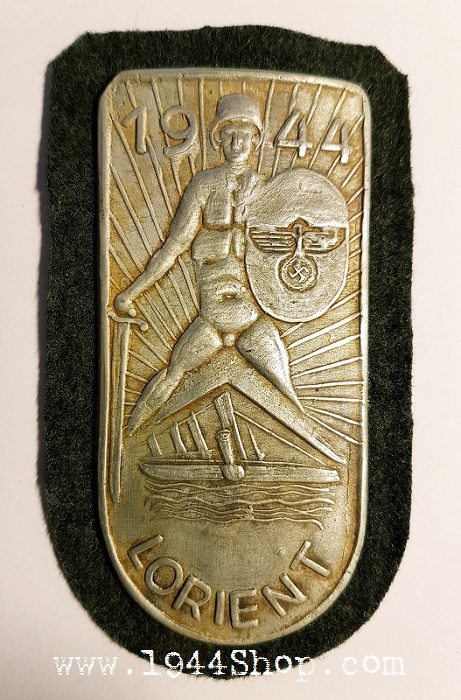 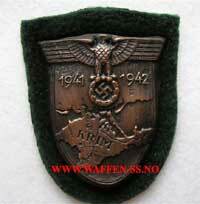 Narvik Batle Shield in Silver (Army and Luftwaffe issue). 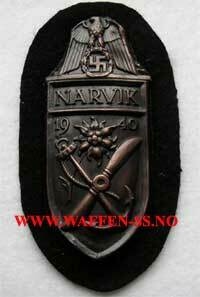 Instituted on 19th August 1940 to commemorate the capture of the port or Narvik in Norway. 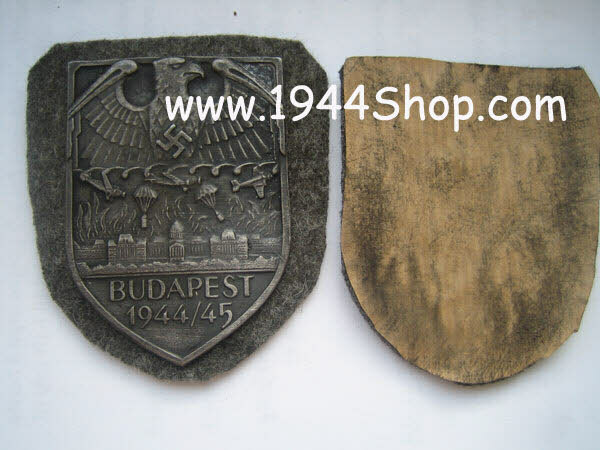 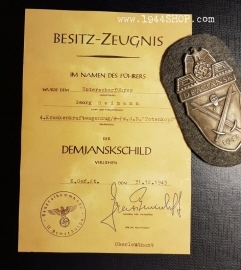 The Demjansk Shield was authorised on 25 April 1943 for 96 000 members of the 2nd Army Corps under General Walter Graf Brockdorff-Ahlefeld who were cut off at Demjansk. 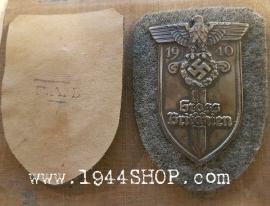 Field grey fabric and paper back! 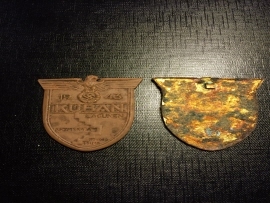 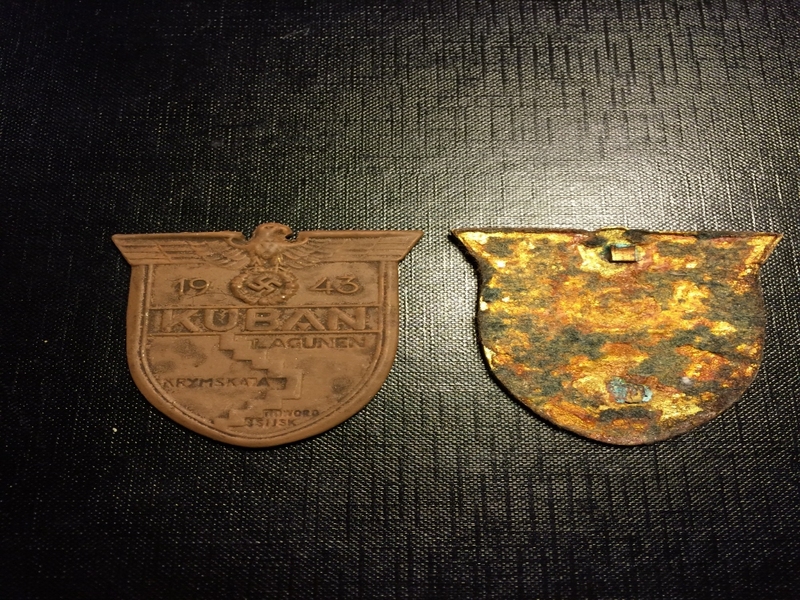 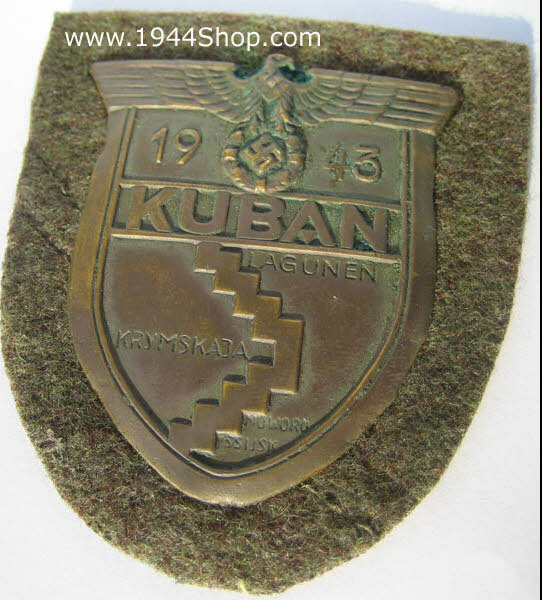 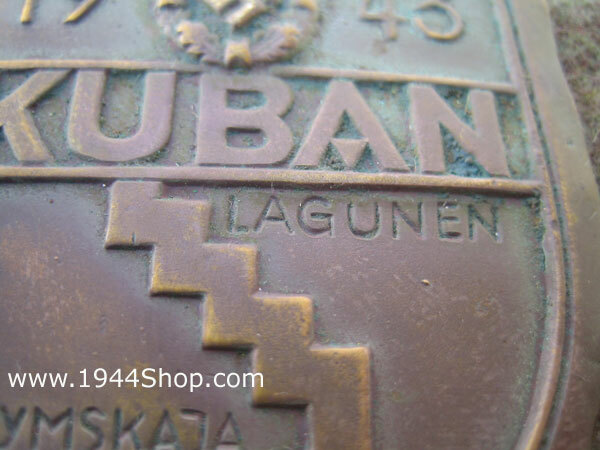 Kuban Battle Shield. 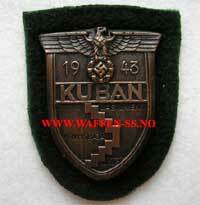 Instituted 20th September 1943 and issued to the defenders of the Kuban bridhehead in Russia. 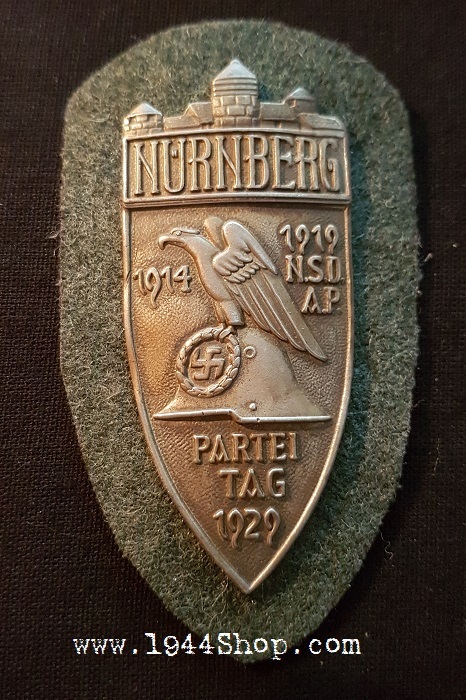 Please see "More images" below right for details. 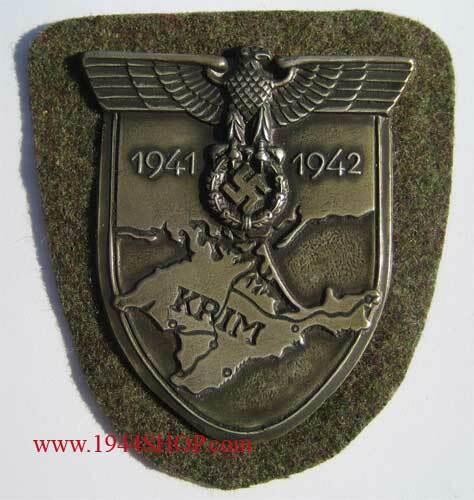 Krim Battle Shield. 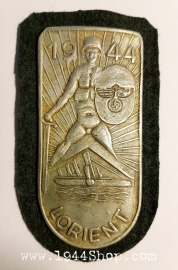 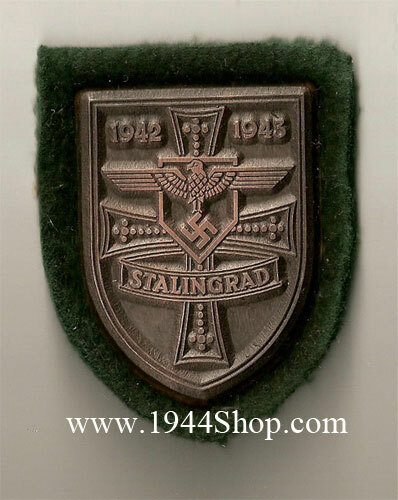 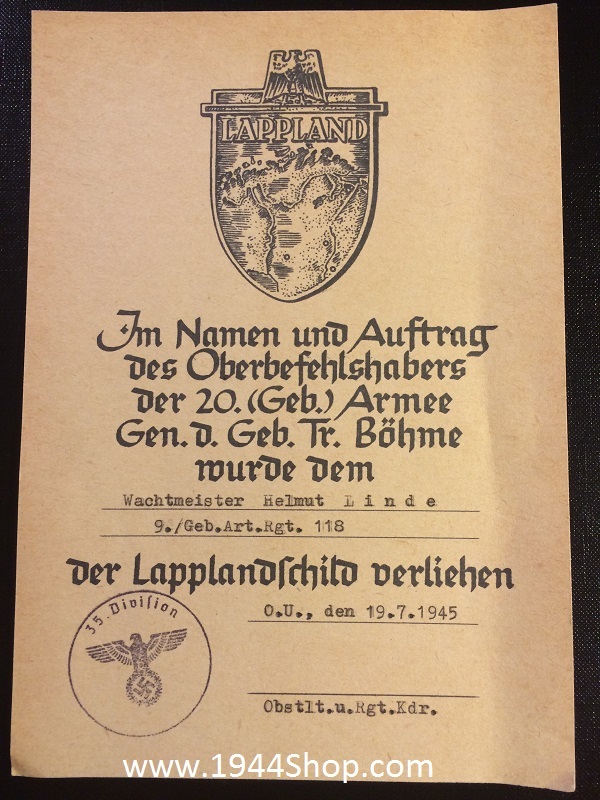 Instituted 25th July 1942 and issued to troops operational in the Crimea and Black Sea area of Russia. 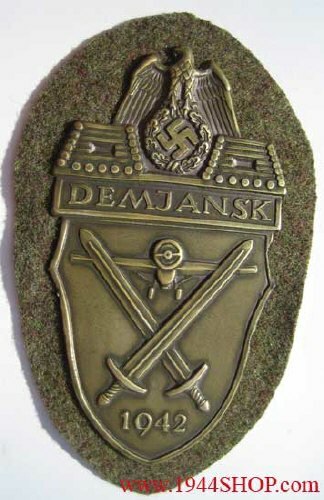 Demjansk Battle Shield. 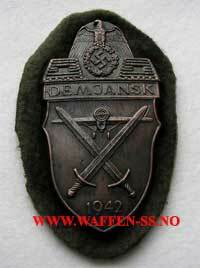 Instituted on 25th April 1943 to the Army and Waffen-SS defenders of the small town of Demjansk in Russia. 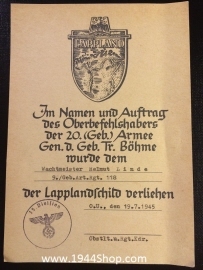 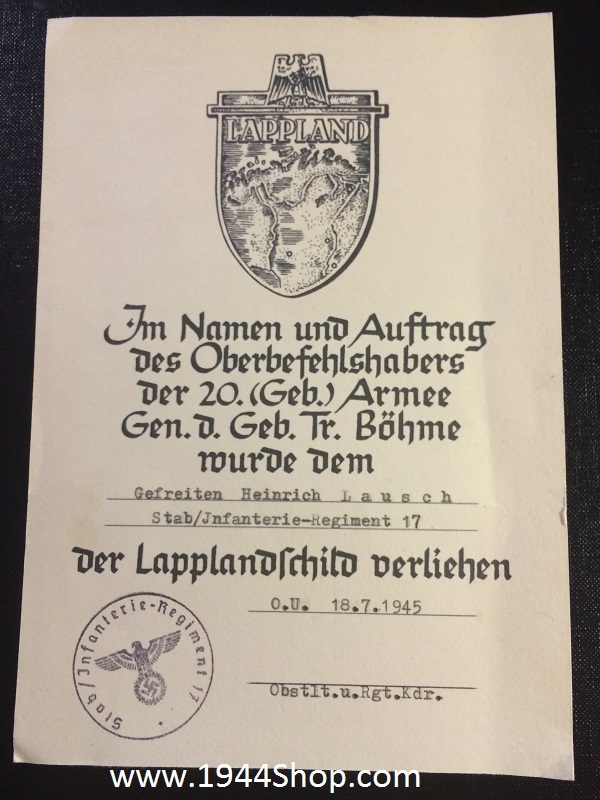 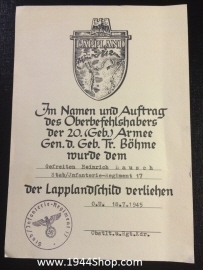 Given to Gefreiten Heinrich Lausch. 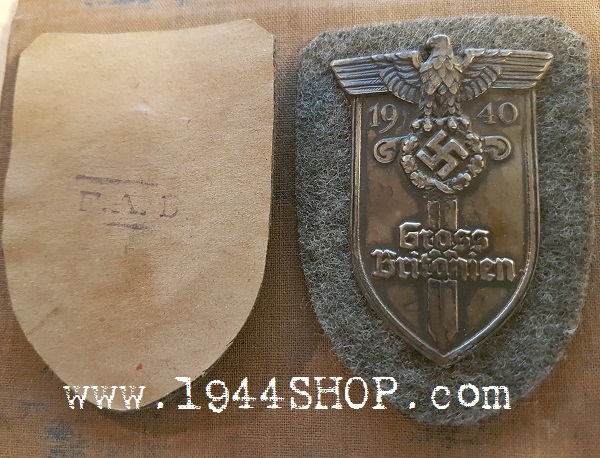 Field gray fabric and paper back! 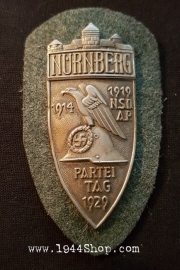 Nurnberg Partei Tag 1929 Shield "Aged"
"Nurnberg Partei Tag 1929 Shield"
Kriegsopfer Treffen Breslau Shield "Aged"
Heavy badge made in Brass.